Description: Plaid Mod Podge Clear Acrylic Sealer creates a strong, crystal clear and non-yellowing acrylic seal. This easy-to-use spray protects paint, lacquer, varnish, stain, glue, wood and other porous surfaces. Reduces tackiness, a common issue with decoupage projects. No runs or drips. Dries quickly. 12 oz. Gloss. See more Plaid Acrylic Sealer. 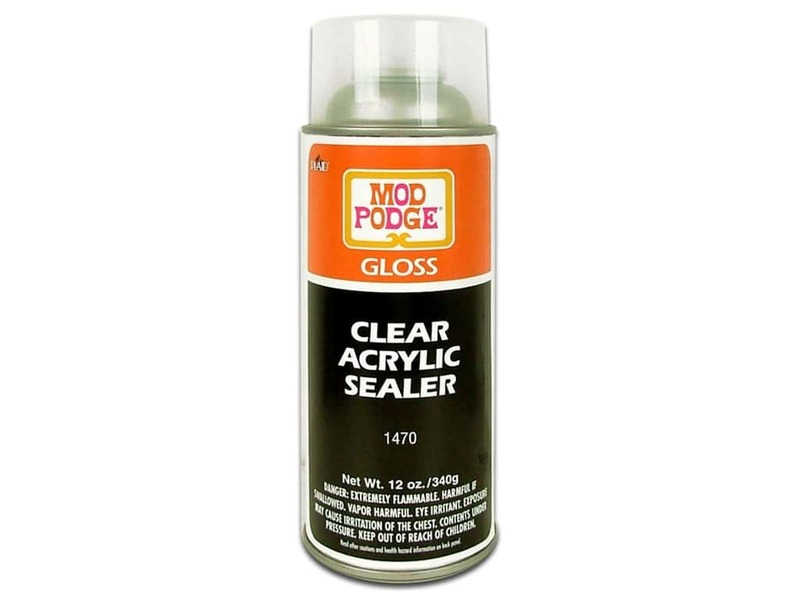 Plaid Acrylic Sealer Mod Podge Aerosol Gloss 12oz -- CreateForLess 4.00 out of 5 based on 2 ratings. 2 user reviews.